MommaSaid: In your new book, “The Panic Virus,” you blame a “self-indulgent and irresponsible” press corps for helping spread the false claim that the MMR vaccine causes autism. Who should parents believe? The short answer is their pediatrician: If parents don’t feel that they can trust their child’s doctor to be honest with them and provide them with reliable information, they should find another doctor. Organizations like the American Academy of Pediatrics, the American Medical Association, and the Centers for Disease Control and Prevention have all come a long way in making sure they have easily navigable websites with clear and concise information available for parents. MommaSaid: How did so many intelligent, educated parents come to the conclusion that vaccinations are harmful to their children’s immune systems when the original study linking certain vaccinations to autism by Dr. Andrew Wakefield has been proven “fraudulent”? I think this is an example of how hard it can be to unscare people. (It’s also worth pointing out that the theory most commonly associated with Wakefield – that the measles-mumps-rubella vaccine could be linked to autism – is not the only vaccines-cause-autism scare that has received attention over the past decade.) It’s the reason I titled my book The Panic Virus– fear has a way of spreading virally through a population. There are a number of other factors that come into play here, including the way these particular myths have been covered in the press and the fact that the effectiveness of vaccines has made the threat posed by the diseases they combat seem notional. MommaSaid: Generation Rescue’s Jenny McCarthy, actress and autism activist, claims to have graduated from “The University of Google,” where, she says, she derived much of her information about autism. What do you say to parents who have followed her from-the-gut method of treating autism? This is one of the things that initially got me interested in this topic: A lot of people I knew were making parenting decisions on “instinct.” I understand this instinct; I experience it with my son – but instinct is not a good way to make decisions about our health. There are many medical interventions (and scientific realities) that contradict “common sense” (think chemotherapy, or airplanes, or the Internet). MommaSaid: Why does it seem that kids begin exhibiting signs of autism so soon after receiving the MMR vaccine? What is the difference between correlation and causation, and lack of evidence vs. evidence of harm? Another factor here is the innate human tendency to re-order past events in our minds in such a way to create coherent narratives. There are a series of evolutionary reasons we do this (I devote most of a chapter to the phenomenon of cognitive biases). The difficulty we have at dealing with randomness is an unavoidable human reality. In the case of parents’ memories that abrupt changes in their children’s behavior immediately followed vaccination, there have been many cases where these beliefs were contradicted by contemporaneous medical records or videotapes. This obviously does not mean parents are lying – it means that what they believe to be true and what is true might not correspond. Your question about a lack of evidence really gets to a very crucial concept. To show vaccines are not safe, you need to show actual evidence that they cause harm. Vaccine skeptics have used the phrase “lack of evidence” to make it sound as if that evidence is just around the corner. We’ve spent more than a decade looking into these claims. Data from millions of children has been used in studies – and there’s no evidence that vaccines cause autism. MommaSaid: What are the dangers of avoiding vaccination, both for individuals and for communities? It’s important for people who don’t vaccinate their children to be honest with themselves about the potential consequences: Vaccine-preventable diseases like whooping cough (pertussis) and Hib are potentially fatal. In 2010, ten children in California died of whooping cough. Nine of them were under six months old. There have been fatal outbreaks of Hib in recent years. A measles outbreak that began when an intentionally unvaccinated patient of Dr. Bob Sears (author of the popular The Vaccine Book) returned home from a family vacation with a measles infection cost $10 million to contain and caused the hospitalization of an infant. That last case illustrates how choosing not to vaccinate also puts those around you at risk. It is not accurate for people to say that if they choose not to vaccinate, that shouldn’t affect those around them that do vaccinate. For one thing, there are some children in whom a given vaccine is not effective. (I write about one such instance, where a young girl who’d been vaccinated for Hib was infected and suffered severe consequences.) There are also people who, for one reason or another, are unable to get vaccinated. Finally, since infants are not fully vaccinated at birth, they’re vulnerable to infections. Some of the most difficult conversations I’ve had were with parents like Danielle Romaguera, whose daughter Brie died of whooping cough before she was old enough to receive the first dose of the pertussis vaccine. MommaSaid: Now that you’re a parent, do you fear vaccines? If so, why, given all your research to the contrary? I don’t know if there’s any way not to get a little queasy when you bring your child in for a shot. (I still remember how much I hated it when I got some of my childhood vaccines.) Needles are unpleasant and it feels wrong to take this perfect little healthy creature and inject something into his chubby little thigh. You can’t tell a six-month-old that this is for his own good, so there’s inevitably that moment when they look up at you as if they’re saying, “I thought we had a deal – you clean up my poop and feed me and make sure I don’t get hurt. What the hell is this all about?” But I didn’t hesitate at all in having my son vaccinated. I’m afraid of him being around children who aren’t vaccinated. 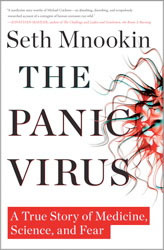 Seth Mnookin is the author of The Panic Virus: A True Story of Medicine, Science, and Fear. He’s also written two previous books: The 2006 bestseller Feeding the Monster and 2004’s Hard News, which was selected as a Washington Post Best Book of the Year. Since 2005, he’s been a contributing editor at Vanity Fair, and he’s also written for New York, Newsweek, Wired, Slate, Salon.com, and many other publications. Yay for critical thinking skills. Check under title : “Over-Vaccinated Animals, Autism and SIDS” it is an interesting article that talks about vaccines linked to delayed vaccine associated anaphylatic shock in humans and animals. Hi Jen. Just saw you featured on a TV program and couldn’t wait to check out your web site. My daughter is a mom of an 18 mo old and still having some insecurities re motherhood. I know she’ll be interested in both your site and books. I’m also a pediatric nurse, working in a clinic doing primary care. I was SO pleased to read the interview with the author of “The Panic Virus” and can’t wait to read his book so I can suggest it to my patients if appropriate. In our practice we see the fall out of all the misinformation on the internet re vaccines. I know it is because parents are fearful and I totally get that. What is so frustrating and sad is the lack of trust they have in the judgement of their physicians and nurses. We encourage our parents to be well informed and give them not only hand outs with each set of vaccines the child gets but also appropriate web sites to follow. I have had parents accuse me of being in cahoots with the pharmaceutical companies and that we get a kick back for every vaccine we administer. Parents will believe some abstract web site attacking vaccines but they won’t believe their physician or nurse who work closely with public health, the Center for Disease Control and the American Academy of Pediatrics to ensure we have all the updated information there is on vaccines. We try hard to be sensitive to our parents’ concerns and work with them on modified vaccine schedules. However, we advise them doing so is not as effective as a following the standard vaccine schedule. I liken it to taking antibiotics. If you only take it once a day instead of three times daily like prescribed, it doesn’t work as well. The same is true for vaccines. The vaccine schedule wasn’t pulled out of thin air. There is a real immunological purpose behind it. Your child is at risk of contracting the disease if you don’t follow it correctly. This is why we recommend the Hep B in infants. They have found, because an infant’s immune system is like a blank page, the Hep B antibodies are better “taken up” by the system if given in a young age. And, there are myriad ways of contracting Hep B, not just sexually. Sorry for the long post! Just SO glad to see an open mind re vaccines. I’ll continue to follow you and recommend you to my patients’ moms. Wow, what a story Jen! You said it exactly right, it IS a balance! I think I’ve found a balance for my son; yes, he will be receiving his vaccinations, just not in the “typical” way most children do. As a mom, vaccines are an amazing hot button topic. There seem to be such extreme schools of thought: Either you have to give your kid every shot exactly when the schedule says, or you wouldn’t dream of giving them one. I’m an oddball who isn’t following either school of thought! I am extremely grateful for both the science that gives us these lifesaving medicines, and for the mommy instinct that led me to prolong my little man’s shots for a little bit. 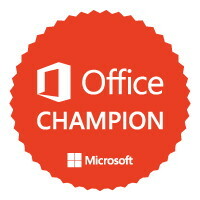 Thanks for letting me put this out there, and to both you and Lisa for sharing your stories! I do believe in trusting your gut and not second-guessing yourself. But that doesn’t mean you should ignore scientific facts. It’s a balance. Doctors were telling me I had Lyme’s disease or pneumonia, but my gut told me otherwise. I kept following that feeling until finally I got the correct diagnosis: cancer. The first hospital I was in thought it was Hodgkin’s and was going to start chemo for that. But we didn’t have the final pathology, and a second opinion said I needed a PET scan. I left that hospital, got the PET and discovered it was non Hodgkin’s, which we treated — and beat. My gut got me there; science confirmed it and treated it. Lisa, I’m so sorry to hear about your experience! No, all 3 of my children have received the Hib vaccine. I am very grateful that we have vaccines, please don’t misunderstand; my main point is that my son doesn’t deal very well with the “regular” schedule, and it was my instinct that prevented him from getting his earlier. Thank you for sharing Lisa, that must have been so scary… Oh and Jen, I find it ironic that the title of one of your videos is “Trust Your Gut, Mom. Really.”! I am curious which vaccination Lisa Perry is referring to in her “we don’t need a vaccination for STDs yet, thank you”… I am not aware of a shot for STDs that is given to infants. If she happens to be referring to the Hib vaccine, she is very ill-informed. That vaccine prevents a virus that also causes epiglottitis in young children. I am an example of an adult who was near death as a child because of that very virus. My throat closed and an ambulance did not come. My father, a surgeon, threw me and a sharp knife in the car and sped to the hospital, wondering all the way if he would have to do the tracheotomy himself. We got to the hospital in time, I did, in fact, have a tracheotomy (performed under anesthesia) and recovered with a scar to show for my experience. The Hib vaccine would have made that virus unlikely to have infected me. Yay for science and common sense! Having just recovered from the mumps myself(which I mistakenly thought had been eradicated), I am very glad that I vaccinated my kids despite having to overcome quite a bit of autism fear. My family will continue to receive vaccinations. What I didn’t know was that the vaccines don’t always work, especially over the decades. I think we’re going to see a resurgence of cases of ‘childhood’ diseases that will occur in adults due to intentionally unvaccinated children, but how to allay parental fears concerning autism? It’s a formidable challenge-since it’s so cool to believe in a massive conspiracy theory involving the government and big pharma rather than to just trust your pediatrician. It’s amazing to me that so many otherwise intelligent people so completely fail to make the correlation vs. causation distinction. I’m not going to weigh in on the “do they/don’t they” debate. However, I respectfully disagree with Denise’s comments in regards to parenting by instinct. A lot of pediatricians and doctors will tell you to bring your child in if they have a low fever but “just don’t seem right”. I would like to share a quick story, completely non-scientific but based on my son. Both of my daughters followed the typical vaccination schedule. With my son, I had the strangest feeling that he should not get his 2 month shots. I chalked it up to hormones but I just KNEW he shouldn’t get them. My husband and I discussed it and decided to put them off until his 4 month appointment. At the appointment, the doctor told me to either give him the shots, or find another doctor. I decided to do just that. At the four month appointment, my son received the 2 month doses. What followed was 4 very scary hours as he had a severe reaction. I can only make an educated guess that in a smaller body, the reaction could have been much worse. Now, we are on a more delayed/stretched out schedule and make decisions based on common sense. We don’t really need a vax for STDs yet, thank you. However, we got the MMR a bit earlier then planned (3 years instead of 4 years) because we were traveling to Disney. Parents, YOU know your child and family best. Get information from ALL sides before making a decision. Chances are, somewhere in between the two extremes, you’ll find what works best for you. I love seeing this information on sites where parents (esp mothers) will see it. Even if you can’t read the book (which is wonderful– go get it!) it’s great to see that people might be able to get a few important pieces of information from the research Seth did. Thank you SO much for featuring this book and for the informative interview. I am amazed at how the fear virus has taken off – and that even though I have done my research, spoken in-depth about the issue with my pediatrician – and worked as a researcher/statistician in a previous life & totally “get” the correlation/causation mistake – even I have found myself quaking in my boots during my sons’ MMR injections. Irrational! Why? For every headline I read about the safety of vaccines, I read 10 that scream “are you killing your baby?” or somesuch nonsense. Of course most “articles” go on to be pure drivel or rehasing the same-old, same-old. But it just goes to show that, even if you’re informed, you can start to feel like you’re missing something if the fear volume is high enough. Thanks for the reminder that science is on my side. Great interview! Very informative. It INFURIATES me that as parents, we get so much conflicting information. So glad you’re giving this book play, Jen! It’s on my to-read list. A few years ago, I did a piece for Scholastic Parent & Child about vaccines, and interviewed a prominent vaccine researcher. Something he said really stuck with me. He talked about what things were like back when my dad was a child and every parent in America was scared to death of polio. So when an experimental vaccine became available, this guy told me, parents lined up in great numbers to try it, even though there was no guarantee that the vaccine would work, or that it would even be safe. The fear of the disease outweighed by a lot the fear of a vaccine. These days, when (until recently, with those pertussis and measles outbreaks) many of those fearsome diseases are faint memories, the fear equation flip-flopped.